For a company said to be constantly singing Tom Petty's hit "Freefallin'," HTC seems to be busy making plans for the second half of the year. The Taiwan based manufacturer might have found its big winner with the HTC One which has sold 5 million units. While that trails the 10 million units sold of the Samsung Galaxy S4, if that ratio holds up HTC could find itself selling a whopping 50 million units of its flagship Android model over the course of a year. Now that Verizon has added the phone to its lineup, sales of the top-shelf model should pick up momentum. So what devices has HTC busy? According to industry sources, starting this month we should see the launch of the dual SIM enabled HTC Desire 600 (which is not powered by the Qualcomm Snapdragon 600 processor). Pre-orders for the phone are already being taken in Russia. Also due this month is the HTC Butterfly S. As we told you Sunday, this is not exactly the same thing as the HTC Butterfly 2 although both models are expected to take elements of the HTC One, like BlinkFeed and the UltraPixel camera technology, and incorporate it into the new phone. Since the HTC One has proved so popular, HTC is going to make a bigger version and a smaller version of the device. Next month we should see the launch of the HTC M4 which, for lack of a better title for now, we will call the HTC One mini. This phone will offer a 4.3 inch screen with many of the same features seen on its bigger brother. Mass production of the phone could start as soon as next month. Perhaps the most awaited Android model this side of the Samsung Galaxy Note 3 is the HTC T6. This is a phablet sized version of the HTC One with a screen somewhere between 5 and 6 inches and could very well debut Android 5.0. A biometric reader rumored to be on the back will unlock the phone when the owner merely picks up the device, and a quad-core 2.3GHz Qualcomm Snapdragon 800 processor provides some serious kick to the device. You can tell that HTC is deadly serious about staying alive as speculation has it putting a 3300mAh cell in the device. No word on when we might see this beast launched, but it should be before the end of the year. Both the T6 and the HTC One mini will have a metal chassis provided from Taiwan's Catcher Technology with China's BYD seen as a backup provider. And lastly, HTC turns again to the HTC One to offer the Nexus Edition of the phone. Running on stock Android, this is indeed the Sense-less HTC One and will be available June 26th from the Google Play Store for $599. Android 4.2.2 will be installed at the time of launch with a quick update to Android 4.3 seen. Glad to hear this imma wait for the t6 the one is a little small for me glad htc is back in the game! Waiting for phablet sized ONE! highlander's Duncan McCloud... in the end there can be only One, and it was him. Stiill waiting for the WP version of the HTC one. I am bored of Samsung. I would love to buy that big HTC phone after owning Note and Note2. Android, Android, Android. What about Windows Phone 8?! 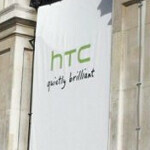 HTC; WHAT ABOUT WINDOWS PHONE 8?! Are you going to make ANY Windows Phone 8 Phones that are even Worthwhile Considering even in the Slightest Bit?! If so, They Will Have to Be High Quality High End Phones that are on the Level of what You did with the "ONE". Making Anything that is a Low End Device like what is scheduled to be released on Sprint, is a COMPLETE JOKE AND A SLAP IN OUR FACES! I'm Not Bashing Android at all. I'm Just saying that You Need to Also do the Same for Windows Phone 8 as what You did for Android and the ONE. Probably HTC is thinking right. They are thinking of not making sad windows phones!! Most likely they're waiting for the next-gen specs to be approved by MS. No reason to make a One-like WP with last year's specs. Wait for MS to bring quad core and 1080 support to the platform. WP has a modern OS, they don't need the overpowered specs of Android to have a great user experience. True, but I still expect MS-Nokia to update their specs this fall. If for no other reason than comparison shopping. If someone is cross-shopping Android, iPhone and WP, they'll look at screen, processor, memory, and storage specs. I will not ever buy an HTC device until they decide to put their flagship on us cellular, which will probably never happen. HTC has built some Nice Windows Phone 8 Phones, but just NOT for Sprint. When HTC Made Windows Phones in the past, they were Good Phones. What had Problems was the OS that was on them especially with Custom ROM's, Custom Patches, and Custom Hacks. Microsoft was in Negotiations with both HTC and Nokia to be their Main Sources for Windows Phone 8, but HTC pulled out of the Negotiations and Nokia became the Only Main Source for Windows Phone 8. If HTC had Stuck in there, then there would have Been Both HTC and Nokia who Would Be the 2 Main Sources for Microsoft putting out Windows Phone 8. Microsoft's First Choice was HTC, but they pulled out and then Nokia had got the ONLY Position that was there. And there's some reason why Sprint has Animosity towards Nokia, because they Don't have Any Nokia Smartphones. They used to have some Nokia Dumbphones in the past, but that was the past. The Carriers are the ones who reach out to the Manufacturers and tell the Manufacturers What They Want for their Customers. That's the Reason Why I Blame SPRINT for the Loss of Windows Phone on their Network and for their Request to both SAMSUNG for a Mid-End Phone and HTC for a Low-End Phone to be released with Windows Phone 8. I must disagree with you... Windows phone 8X is THE flagship of WP. If they make a WP variant of One then it's over for Nokia, but in general I dislike WP because it is mostly a closed system that doesn't give a user the state of mobility or creativity like Android does. The same can be said about the iPhone as well, but People Really like that Phone even though Everything Associated with it is Proprietary to Apple. It Would be Great it HTC Would make a Variation of the Upcoming T6 for Windows Phone 8, but With More Storage and the Micro SDXC Card Slot and it have Microsoft Support 1080P Resolution and bring it to Sprint. Windows Phone 8X is definitely not the WP flagship. The Lumia 920 has been the flagship since WP8 arrived. The 8X is nice, but it has a smaller screen and weaker camera than the 92x series. There's nothing wrong with it as a mid-ranger, but Nokia is where WP is at. So it kind of sound like Butterfly S, Butterfly 2 and T6 are different devices. I better start saving up money if they're all going to be having metal chassis... Will have to pick one out of the three.